Support SPEF today with a donation! Have you ever seen the joy on a child’s face when she receives a free book – one she can take home and keep forever? 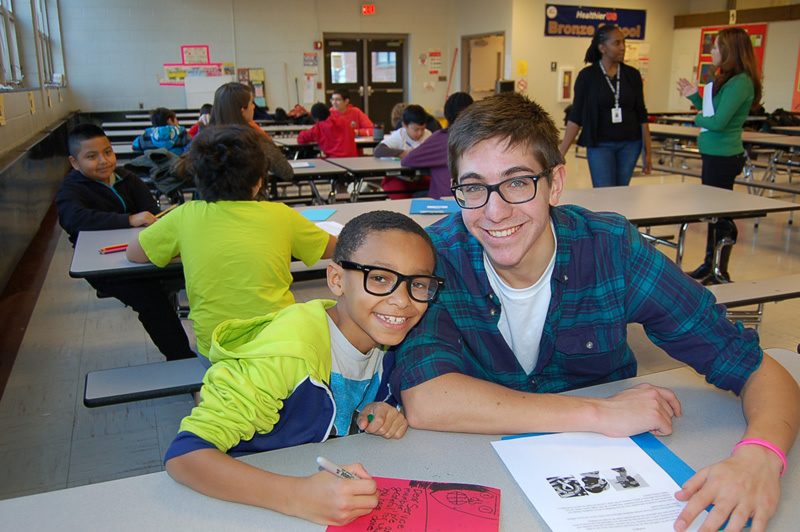 How about a fifth grader’s expression when he looks into the eyes of his mentor from Stamford High, as they create a poster that shows how grateful he is for his school’s community? It’s magic. At the Stamford Public Education Foundation our staff and volunteers make magic every day. We are entering our fifteenth year of providing free educational programs to children at the low end of the achievement gap – giving these students the resources and support they need to advance and thrive. Please support the future of our community – our children – by making a generous donation today. It’s only with the collaboration of corporations, private foundations, and individuals like you that we can provide life-changing services to all of our children.